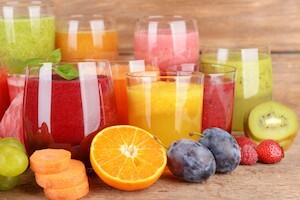 Juicing and blending vegetables and fruits is recommended in several diets. Some of them, such as Gerson therapy, rely almost exclusively on this kind of food. They advocate that it’s the best way for detoxifying the body, as well as providing a lot of important nutrients. Is it really so important for health to include juices and smoothies? In this article I will show you the benefits and disadvantages of these food, as well as some tests with juices and smoothies that can give you some clues about this question.